We drove 140 miles to the log home of our Nortel friends, Gary and Susan, near Brainerd. 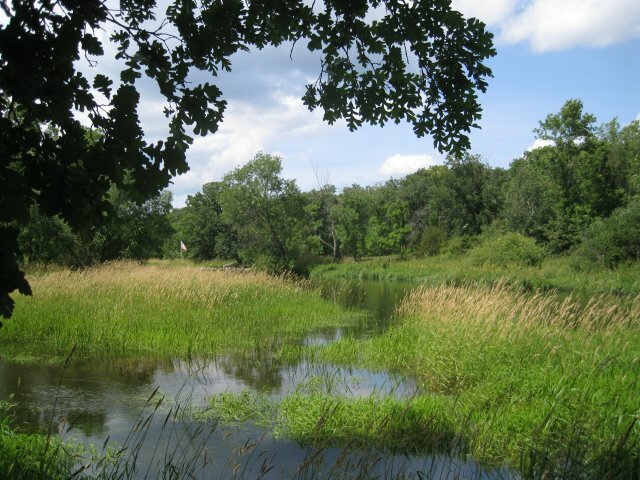 The house is on the Gull River which drains Gull Lake and empties into the Mississippi River at Crow Wing State Park. The photo shows the Gull River just below the log home. This area is a popular vacation spot and there are several resorts dating back to the early 20th century.